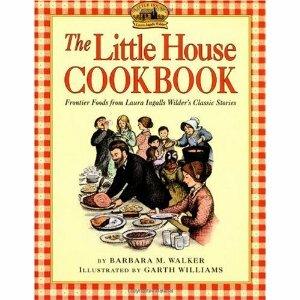 Many of the dishes on this menu have been culled from The Little House cookbook by Barbara M. Walker. It’s one of my favourite cookbooks. Some of the other dishes like the green bean casserole (with a can of mushroom soup and tinned fried onions) and the yams with marshmallows, traditional in Modern America, I’ve just wanted to try. 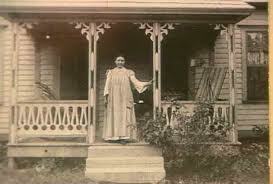 Thanksgiving reminds me of Little Women and Laura Ingalls Wilder, the writer of the Little House on the Prairie books. The stories are borne from hard experience as homesteaders occupied a sometimes hostile and deserted America. Far from the slightly saccharine TV series that Michael Landon produced and starred in, the first book tells you how to build a log cabin, how to stave off wolves, how to survive winter with little food where a few crystals of sugar carefully kept in a wrap of paper is a treat. Of course, not being a meat eater, I’m not doing turkey, but how likely was it that the pilgrims at the very first Thanksgiving had turkey to eat? Previous Post: « News! Lots of it! You really are a extremely smart individual! Love this Thanksgiving menu! Personally, i think the side dishes make the meal, not necessarily the turkey! SO exciting. Gutted I am not at this dinner especially, I cant tell you how fascinating this food was to a kid in South Auckland in the early eighties reading about it, pumpkin pie?? hello, you roast pumpkin, not make pie, cornbread, you mean you dont jusy boil the crap out of it & put half a tub of butter on top? Crazy talk…. 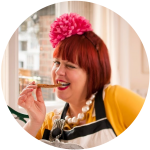 :)Have you seen the WHistle Stop Cafe Cookbook? You inspired me to dig out my mom's Betty Crocker cook books from the 60's. The photos are just wonderful. Happy Thanksigiving!